My guess is Robles gets #47. 32 & 34 are probably being saved for Matz and Noah. I agree with Howie…..I say he gets a lower number like 47. I like that Jon is boldly predicting he sticks in #67, based on the high numbers assigned to the bullpen guys over the last few years. It would be a bold prediction 5 years ago but the Mets these days appear totally ok giving out big numbers, *especially* to relief pitchers (see, Germen Gonzalez 71; Josh Edgin 66; Eric Goeddel, etc etc). 67 is the new 47. It almost seems like the current clubhouse manager who took over for Charlie Samuels didn’t get the memo to give guys lower numbers (particularly pitchers) when they make it to the big club, and not keep their Spring Training numbers. 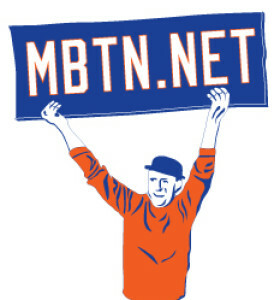 22 & 67 per mets.com 25 man roster. Beat guys saying 22 & 47. Matt B right again. That’s right. The honor of 1,000th Met of all-time will belong to none other than Darrell Ceciliani. I also predict that he’ll play less than 20 games in his Mets career. I also think that they might not call Matz up this year. It sounds insane but I don’t put it past them. It would be pretty cool if a local guy was the 1,000th Met though. At this rate, I am just hoping we make it through April before we reach #1,000.